No matter how strong the rechargeable battery in your portable device is, it will eventually die. Why must they die? You'd die too if someone regularly twisted your innards up in knots. What we're looking at here is the effect an electrical charge has on a tin oxide nanowire. A joint team of U.S> and Chinese researches crafted a 200 nanometer-wide battery using a lithium-cobalt anode and a tin oxide nanowire cathode in order to view for the first time what happens to the structures inside a battery when electrical current runs through them. Not only do the nanowires twist and contort, growing 90 percent longer and increasing their volume by 250 percent, the structure of the tin oxide changes, transforming from ordered crystal to an amorphous glass-like configuration. "Cyclic charge and discharge of a battery induces structural evolution of the active materials, and such a structural evolution is attributed to the failure of the battery," says team member Chongmin Wang at the Pacific Northwest National Laboratory in Richland, Washington. "What we have done is to pioneer a way to observe how this structural evolution may occur." What they've done is make me feel sorry for the batteries powering my devices. 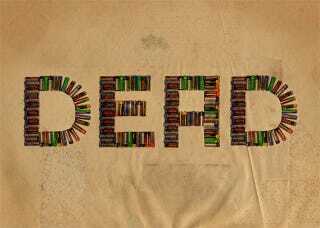 They've also given science a deeper understanding of how batteries slowly die over time, as repeated charging plays havoc on a molecular scale. Armed with this knowledge researchers will be better prepared to produce the next generation of longer-lasting and more humane portable energy units.